Remote work is not for everyone. It depends a lot of anyone’s taste. But it’s definitely for me. Here is why and how I switched from working full time in an office to 3 days of remote work. TL;DR: After working from home for a few months, I was convinced remote work was my thing. I had to look for a new freelance contract including remote work and I had to refuse a lot of good offers banning remote work. At least in my country (France), finding remote work, even part time, is still difficult. It greatly depends on the company culture. I’m lucky enough, my current client promotes remote work. 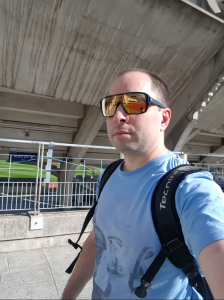 If you follow my blog on a regular basis (RSS feed if you like it), you know I’ve been working remotely for a while, starting one day a weekwhen I was working part time in order to be more productive for my side projects. 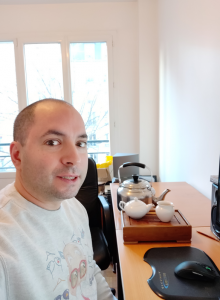 But this article will explain why and how I decided to start working remotely and what kind of choice – professional and personal – I had to do in order to achieve this goal. I’m a freelance since 2012 and usually work at the office of my clients. I had 2 intense years some time ago and it was so intense I needed a break.That’s not optimal because, as you know, a freelance does not earn money when he does not work. No paid vacation. Moreover the freelancer can not count on any unemployment compensation (at least in France). I work on side projects since 2015 but I’m far from being self-sufficient. After my previous mission, I took a 6 month break and had important personal finance issue after that. You guess. So it’s obvious if I want to remain freelance, I need to work on a regular basis. Paris is a quite crowded city. Public transportation are overcrowded and some subway lines are too old. It generates a lot of stress for everyone, public transportation workers and users. When you go to work and especially if you live in Paris suburbs, after a chaotic ride from home, it usually means you haven’t started to work but you’re already stressed out. You also waste between 45mn and 1h30mn for each ride, between 1h30 and 3 hours each day! Given the fact I work on several side projects, helping communities to grow and developing online services, I need time. Even the lunch break time. I’m not a workaholic, I love playing squash, watching movies, reading, playing poker so I’m not going to work everyday until 2 or 3am. Once my daily job is finished, I need my free time. And don’t talk to me about waking up at 5am. Tried that. Once. Never again. My main job is system architect. I mostly work on complex issues, like scalability of high-trafic websites or migrating old platform to the cloud. I need peace and long period of time without interruptions in order to think. Open space is a waste of both my time and resources, given the fact I can not manage useless interruptions when I’m at the office as efficiently as while I work remotely (I just don’t reply). Some jobs need a lot of interactions with others (managers), others need silence and peace. It’s a fact. Meetings are sometimes useful, but I don’t need to be at the office 5 days a week for these. And online tools are now quite efficient for short meetings. During my 6-month break, I have been working on my side projects from home. I knew I was ready. When I started to search for a new contract, I was looking for companies allowing remote work. In France it’s not so common and sometimes remote workers are seen as slackers. Given this reputation, I had to stand firm about it while candidating. Another issue comes from the recruiters. Some of them are overoptimistic about remote work and tell candidates that remote work will be allowed soon in their company. That is not often the case and even if it is, it could take months or years. Moreover remote work is a culture, it’s not so simple to set up. If the company culture is not ready, it’s only a matter of time before cancellation. Yahoo! has a famous record about it, banning work from home. I finally chose for a company being the best fit for me. Given the price of venues in Paris, the company still growing , they had to encourage working from home. A really good point for me. During the interview, my boss told me members of the team were working remotely on a regular basis, 1 or 2 times a week. Of course I started slow and for some months worked full time in the office. I started with only one day a week. I was not bored to death working at home. I was still efficient. Even more efficient on complex tasks. Less interruption, less noise and I was not forced to use headphone any more. I soon started to work 2 times a week from home. Working remotely is written in the DNA of this company and anybody is easily reachable. Being quite self-sufficient on my projects, I mostly need to go to the office for enjoying the team and for meetings. From a technical point of view, being at home or at the office is exactly the same thing. We use a laptop and a VPN. Most of the company tools are Software As A Service (SAAS), reachable from anywhere around the world. These days, depending on business or team meetings, I work up to 3 days from home. and I enjoy doing so. Working remotely is a great asset some positions can offer. Definitely not for all kinds of jobs, but it allows to improve some real issues like commuting and allows a better personal time management. I guess the taste for working remotely is different for anyone, but in my case it suits my lifestyle and I’ll make it a requirement for my next jobs. Carl Chenet, Free Software Indie Hacker, Founder of LinuxJobs.io, a Job board dedicated to Free and Open Source Software Jobs in the US (soon to be released).